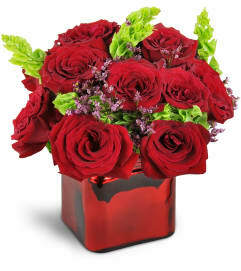 Show some true romance with this elegant and chic display of luscious red blooms. 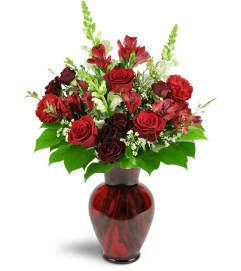 An abundance of delicate red spray roses and charming red Gerbera daisies are the perfect way to express your admiration and love. 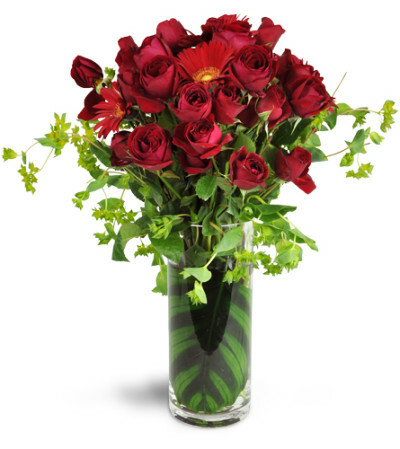 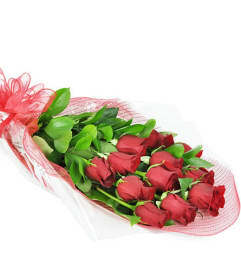 Deep red spray roses and Gerbera daisies are stunning in an elegant, tall, cylinder vase.